Posted on April 28, 2014 | Comments Off on GreenDay Comes To Westport! Uh, no, not that Green Day. Still, if we can’t have a 5-Grammy-winning, 75-million-album-selling punk band, we’ve got the next best thing: a 2-day, Staples-student-spearheaded, townwide event celebrating the environment, sustainability and related life-affirming causes. GreenDay replaces EcoFest, the music, food and vendor-filled event. But the renovation of Levitt Pavilion meant EcoFest needed a new home, so the organizers — Staples’ Club Green — gave it a totally new spin. Rather than a single, localized “festival,” GreenDay (this Saturday and Sunday, May 3 and 4) highlights innovative work being done all around town. Westporters can pick and choose among many family-oriented, free events. Clean up Dead Man’s Brook (Saturday, May 3, 9 a.m.-noon). Park at the Westport Woman’s Club lower lot, 44 Imperial Avenue; wear hiking or rubber boots and work gloves. Sponsor: Westport Parks & Rec Department and Builders Beyond Borders. Click here to sign up. Tour the water pollution control facility. (Saturday, May 3, 10 a.m. and 11 a.m., 4 Elaine Road). Find out where Westport’s waste water ends up. See the process and technology, in a guided tour. Sponsor: Westport Public Works Department. Nature walks and pond science. (Saturday, May 3, 10 a.m.-1 p.m., Earthplace, 10 Woodside Lane). Includes crafts and Long Island Sound touch tank. Guided nature walks at 10:30 a.m. and noon; animal encounters at 10 a.m., 11 a.m and 12:30 p.m. Sponsor: Earthplace. Spring Fun at Wakeman Town Farm. (Saturday, May 3, 134 Cross Highway). 1-2:15 p.m.: farm tours of gardens and animals; square foot garden workshop; help plant vegetable and lower gardens; children’s activities and games. 2:15-2:45 p.m.: sheep shearing, goat grooming and wool spinning demo. 2:45-3:15 p.m.: Greenhouse dedication ceremony. 3:15-4 p.m.: Traditional Maypole dance and drum circle. 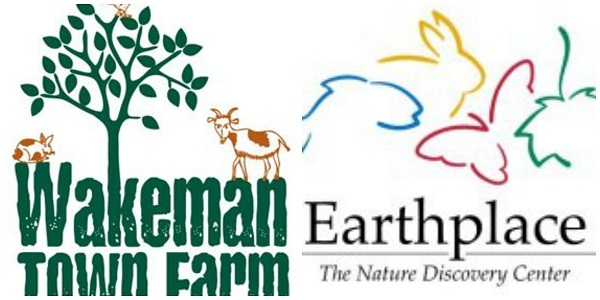 Sponsor: Wakeman Town Farm. “Chasing Ice” documentary and panel discussion on climate change. (Sunday, May 4, 4-6 p.m., Town Hall). The story of one man’s mission to change the tide of history by gathering undeniable evidence of our changing planet. Sponsor: Westport Cinema Initiative. Cost: $10 per ticket, available For more information, click here. Aitkenhead says that many Westporters want to contribute to the town’s environmental movement, but don’t know how. Click here if your browser does not take you directly to YouTube. This entry was posted in Environment, Organizations, Staples HS and tagged "Chasing Ice", Earthplace, Staples High School Club Green, Wakeman Town Farm, Westport Cinema Initiative. Bookmark the permalink.